Expanding the community of tradition bearers and those who want to learn more about the music, stories, dance, foodways, art, and cultural heritage of Michigan and beyond. 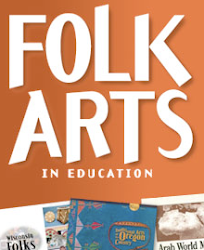 A blog sponsored by the Michigan State University Museum's Michigan Traditional Arts Program, a partnership with the Michigan Council for Arts and Cultural Affairs. Sharing news and information about the Great Lakes Folk Festival, Quilt Index, the MSU Museum's traditional arts activities, Great Lakes traditional artists and arts resources, and much more. Development of content for this blog supported by funding from the National Endowment for the Arts. I had never met Rene Coté before, but I believe I owe my opportunity to the friendly connection that fiddler Danny Johnston provided. He called a couple times on my behalf, letting the Cotés know who I was. Yet despite having never met Rene personally before, I had heard stories about him on both sides of the Michigan – Ontario border, seen him on the film Medicine Fiddle, and listened to his tape recordings. In every case, I was impressed. His music had been impeccable – that was obvious from the recordings. He was a fiddler that I openly admired and whose playing I deemed worthy of emulation. He had earned a seemingly legendary status. I had heard, though, that he had struggled with health of late, and many years had passed since the music I had heard was recorded. I did not know what to expect, but in any case, of all the interviews I was conducting on my trip, Rene Coté was one that really captivated my interest. It was also the interview I was most nervous about. I was on a fieldwork trip interviewing Michigan’s fiddlers as part of a National Endowment for the Arts grant project administered through the Michigan State University Museum. I make my living as a fiddler and storyteller. I am a native of Michigan who has made the fiddle playing of the Great Lakes – especially Michigan and Ontario – one of my primary topics of interest, even making Michigan fiddlers the topic of a master’s project some time ago, coupled with the founding of a website dedicated to Michigan Fiddlers. “Well, I have been playing the fiddle for 75 years.” He was ready to start the interview. In another minute, I was set up and we were ready to go. For an hour, I sat and learned about this man, born into a Francophone family in the Soo, in a community saturated with dance and old time music, French chansons and house parties. The names and places flowed as Rene reminisced. Yet again I was impressed by the sheer stamina of the previous generations who could work all day and fiddle all night day after day and week after week and go on with what seemed to me a catastrophic lack of sleep. I sat and listened. His family members occasionally jumped in to add bits of information. Outside, lake effect snow fell slowly, not yet ready to fully engage in the February fray. As the interview progressed, I began to realize that I was in the presence of someone far more influential and impressive than I initially thought. Behind me, there was a nook off to the side of the open kitchen and living room. A desk sat there, with a CD player and racks of well-organized CDs. Fiddles hung on the wall with a guitar, and a drawing of Rene wearing a cowboy hat hung in a wooden frame. It had been his portrait for the Northern Ontario Hall of Fame. I listened as Rene recounted representing all of Canada’s fiddlers at the World’s Fair in Montreal, of playing on the Francophone television show Village et Visage for years. Story after story rolled until it was obvious that Rene had tired of talking. It was time to get down to the music. This is a selection from Village et Visage that includes a younger Rene’s fiddling. Rene is a slender, bald man with a very memorable face, but his most startling and captivating aspect besides his beautiful music are his eyes. Rene’s brown eyes lock on to his audience as he plays, somehow both absent and intensely observant. Gradations of smiles and grins play around his mouth as he watches the reactions of his audience as he pulls off licks and double stops up the fiddle’s neck. I realized that Rene was not just a fiddler. He was an entertainer at heart. His musical skills at the age of 83 left me deeply impressed. I was aware that I was in the presence of a true master. After finding out that his skill had been honed through ceaseless performance and practice, I found myself humbled. More impressive than raw virtuosic talent ever could be are hard work and passion. To this day, Rene practices around two hours a day, preferably in the morning which he calls his “clear mind.” In the nook are recordings and lists of tunes that he is still learning. He learns more tunes in a week than I probably have in the past six months. His appetite for music is still strong. He really loves it. And that’s what he said when I asked what kept him playing so much for so long, keeping such a tough schedule. “Everything from here,” he said. Everything from the heart. For quite a while we traded tunes and licks as snow continued to fall outside the living room windows. Rene would watch me as he slid up into high positions, playing double stops. He seemed to relish my reactions, that grin flickering at the corner of his mouth. Though I sometimes consider myself grown up, like so many adolescent times throughout my life when I had sat with master fiddlers, I had an urge to show off what I could do. There was a Scott Skinner hornpipe that for years I had been working on. It was called “The Mathematician,” and rightly so. I was just getting to the place where I could attempt it for an audience. Technically challenging, it involved lots of those high positions and some fast bow work. It’s a show piece. I played it for Rene, and as I did, I saw a unique expression in his eyes. As he watched my fingers slide up the fingerboard, he recognized the showiness of the tune, the virtuosic elements, and rather than have an expression of admiration and pleasure, I saw something else. I saw hunger. He wanted to learn the tune. I felt like his expression said, “I could learn that tune. I want to learn that tune.” I felt that he desired the challenge. The snow was falling, and I wanted to spend the night in Gaylord, Michigan to be able to get to my next interview the following morning. With an open invitation to play more music together from Rene and well-wishes around, I headed out on the snowy roads. I was getting ready to leave the hotel the next morning when my phone rang. “Hey Trae, this is Rene,” I heard when I answered. “Hey! How’s it going?,” I said. “Yeah. Hey, uh, d’you think I could get a copy of the recording?” he asked. “Oh yeah, no problem,” I said. Produced by the MSU Museum, August 7-9, 2015, in downtown East Lansing, MI. A statewide inventory and searchable database of architectural stained glass. Become involved and help inventory Michigan's stained glass heritage.